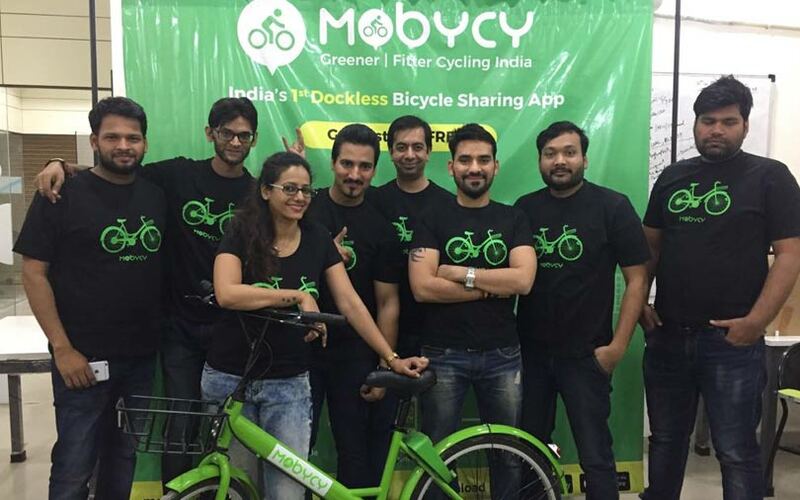 Mobycy, an e-bike and bicycle-sharing startup, has raised an undisclosed amount of angel funding led by incubation platform Venture Catalysts, a company statement said. The investors from the Venture Catalysts network who participated in the round include Syed Faiz, Gaurav Juneja, Ayush Agarwal and Bhaskar Raju, the statement said. Mobycy, operated by Gurugram-based Bycyshare Technologies Pvt. Ltd, was set up last year and claims to be India’s first dockless bicycle-sharing app. Over the past three months, however, Mobycy has been pivoting into e-bikes and e-scooters in Gurugam. The startup plans to use the fresh capital to expand its operations in the cities where it already operates. These include Gurugram, Noida and Kota. In December last year, the company had raised $500,000 (Rs 3.2 crore then) in seed funding from a US-based angel investor. Mobycy co-founder Akash Gupta said that, after the seed round, the company was managing more than 1.25 lakh monthly rides on over 1,200 bikes across Gurugram, Noida and Kota, and many universities. With the support of Venture Catalysts and after its pivot into e-bikes and e-scooters, it plans to accelerate its pace of growth, he said. The startup allows users to locate bikes around them on its app, unlock the bikes by scanning a QR Code, ride and then park those at their destinations. The startup uses Internet of Things (IoT) technology and GPS-enabled smart devices. It claims it has about 175,000 registered users. Mobycy was founded by Gupta, formerly the marketing head of digital wallet Mobikwik, and Rashi Agarwal, an entrepreneur who was previously associated with S&P Capital IQ. Gupta had quit Mobikwik to launch his own venture last year. Mobycy began operations with 1,000 dockless cycles that were made available at public places such as metro stations and markets. It has also signed initial pacts with universities, technology parks, and companies such as HCL and Tech Mahindra, apart from Jaipur Metro. Mobycy rents out bikes at Re 1 per hour. The monthly plan requires users to make a security deposit of Rs 999, which is refundable, besides Rs 99 for two-hour rides per day. Students will have to pay Rs 499 as security deposit.